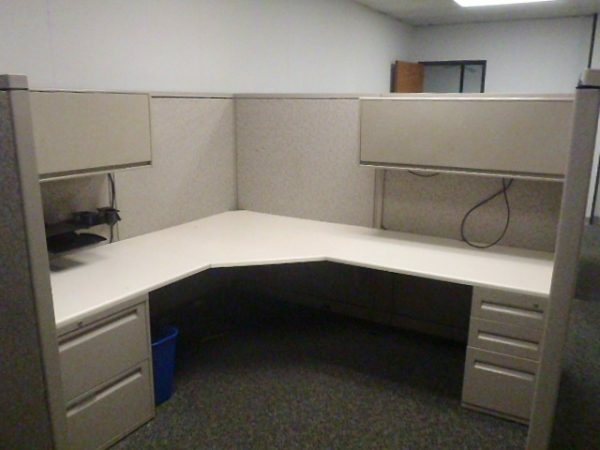 Steelcase Avenir 8×8 workstations with 30×48 corner and (2) 30×48 returns, each station is loaded with storage both overhead and under the worksurface. BBF pedestal and 2-drawer lateral, (2) 48″ overhead binder bins with task lights. 3-circuit power down the center spine of panels. Good as-is condition and available now. sold in packs of 8.